Our COB Pop-Up Lantern lights up automatically when opened and turns off when collapsed. Slide up or down to control the brightness of the 3 white COB strips. 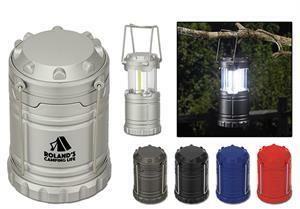 It has convenient hooks for easy hanging and comes with 3 AA batteries. Individually gift boxed. Colors: Black, Gunmetal, Red, Royal Blue or Silver. 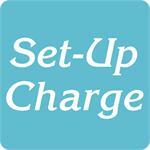 For logos: Add a set-up charge of $40.00 on new orders. $25.00 on re-orders. Click here to email your logo.